The Drug Policy Alliance has some unkind words for New York's medical marijuana program, fentanyl is killing more Kentuckians than last year, Canada won't decriminalize marijuana ahead of legalization, Indonesia prepares a new round of drug executions, and more. Canada will legalize it, but won't decriminalize it first. New York's Medical Marijuana Program Pretty Lame, DPA Report Finds. In a new report, Assessing New York's Medical Marijuana Program: Problems of Patient Access and Affordability, the Drug Policy Alliance finds severe problems with patient and caregiver access under the program. The report, which relied on patient surveys, finds that more than half of patients and caregivers had not yet found a doctor to certify them and 60% of those had been looking for three to four months for a physicians. Also, more than three-quarters (77%) said they could not afford their medicine. DPA recommends further legislation to improve the program and urges the Health Department to provide more information about the implementation and performance of the program. Petition to Deschedule Hemp Launched. A Portland attorney and a Southern Oregon environmentalist have filed a petition asking the DEA to remove industrial hemp from the federal governments list of controlled substances. The petition was filed Monday. The petition asks DEA to declare that a cannabis plant is hemp, not marijuana, it its THC level does not exceed 1%. The Oregon petition is the second hemp petition this month. The Kentucky Hemp Industries Council earlier filed a similar petition. Kentucky Report Sees Fentanyl Deaths More Than Tripling. The Kentucky Office of Drug Control Policy has issued a 2015 overdose report that finds fentanyl was a factor in 420 fatal overdoses last year, up from 121 in the previous year. Fentanyl is implicated in 34% of all overdose deaths in the state. State officials said it is often consumed unwittingly by users because it is mixed with heroin. Ohio Governor Signs "Bad" 911 Good Samaritan Law. Gov. John Kasich (R) has signed into law House Bill 110, which grants immunity from prosecution to overdose victims and people who seek help for them. But the bill contains a pair of provisions added by the Senate that critics say will discourage people from seeking help. One limits immunity to two occasions and makes it unavailable for people on parole, and the second allows medical professionals to share overdose information with law enforcement. Canada's Liberals Reject NDP Call for Decriminalization Ahead of Legalization. Liberal Attorney General Jody Wilson-Raybould said Monday the government would not support the New Democrat's proposal to quickly decriminalize marijuana while awaiting the arrival of legalization. Decriminalizing now would "give a green light to dealers and organizations to continue to sell unregulated and unsafe marijuana to Canadians," she said. Low-THC Marijuana Based Medicines Now Legal in Macedonia. Medicines containing less than 0.2% THC can now be prescribed by doctors and purchased in pharmacies, Macedonia's agency for medicines announced Monday. Indonesia Set to Execute 16 Drug Offenders After Ramadan. The convicts will be "immediately executed" after next month's Eid holiday, a spokesman for the attorney general's office said Tuesday. The country has not seen an execution since April 2015, but it executed 14 people that year, mostly foreigners, stoking international outrage. Legal marijuana is a big deal and it's only getting bigger. It's already a billion dollar-plus industry in the medical marijuana and legal states, and with California and a handful of other states poised to go legal in November, it's only going to get bigger. With growing legality comes growing acceptance. Marijuana is insinuating itself deep within popular culture, and more and more people are getting interested. Pot use is on the increase among adults, especially seniors. In fact, it seems to be gaining popularity with just about everybody -- except kids. Some folks have been pot people for decades. They've been smoking it, growing it, selling it, agitating for its legalization. They have an intimate understanding of the plant and the issues around it. Still, there are many, many more people who are not cannabis aficionados, but are becoming curious about marijuana or the pot business. Will marijuana ease my aches and pains? If I start smoking pot, won't I get addicted? How do you grow the stuff? Can I make a million bucks growing weed? How do I start a pot business? Chris Conrad and Jeremy Daw are well-positioned to provide some answers. Conrad has been around cannabis since forever -- he's a certified expert witness on marijuana cultivation, he curated the Amsterdam Hemp Museum back in the 1980s, he formed the Business Alliance for Cannabis Hemp in the 1980s, too, and hes9;s been politically active in California (and national) pot politics the whole time -- and Daw is the up-and-coming publisher of The Leaf Online. With The Newbie's Guide to Cannabis and the Industry, the pair of pot pros provides a compendium of marijuana-related information sure to be invaluable to interested novices and likely to hold some hidden treasures for even the most grizzled veteran of the weed wars. The guide begins with a quick but detailed look at cannabis botany before shifting gears from the natural sciences to the social ones with a thumbnail history of pot prohibition and the last half-century's increasingly successful efforts to undo it. Conrad and Daw take up through political developments into this year, noting the spread of medical marijuana, with outright legalization now following in its footsteps. And they make one critically important point here (and repeatedly in the business sections of the book): Despite how swimmingly legalization may be going in Colorado and Washington and Alaska and Oregon, pot remains illegal under federal law. All it would take is a new administration hostile to marijuana in the White House and a new memo from the Justice Department to bring the entire edifice crashing to the ground. That's certainly something for would be ganjapreneurs to ponder, but it should also behoove the rest of us to remember that the job of freeing the weed remains unfinished business. As long as federal marijuana prohibition remains on the books, the prospect of a reefer rollback remains. Admittedly, the prospect seems unlikely: We are pretty far down the path of acceptance in the early legalizing states, and any return to harsh federal enforcement could have the paradoxical result of criminalizing or at least freezing state-level taxation and regulation while leaving pot legal, untaxed, and unregulated at the state level. While the federal government could try to block the states from acting to tax or regulate marijuana, if not in court then by going after the businesses, it can't force states to make it illegal again. It could attempt to enforce federal prohibition laws, but it doesn't have enough DEA agents to effectively do that, especially in states with home growing. Conrad and Daw also delve more deeply into the botany of marijuana, addressing questions that will face consumers -- edibles or smokables? Indica or sativa? High THC or high CBD? -- as well as drilling down into the precise roles played by cannabinoids, terpenes, and flavonoids (oh, my!) 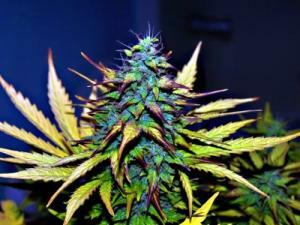 in creating marijuana highs, tastes, smells, and colors. It's worth taking a moment to note the high production values of The Newbie's Guide. 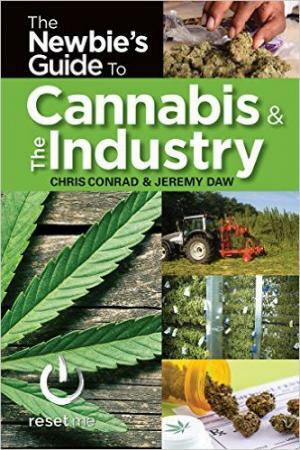 The book has an illustrated cover (not dust jacket) and is filled with with hundreds of color photographs of the plant, its users, marijuana production and sales, and more. It's also printed on glossy, high-quality paper stock. This thing isn't going to turn yellow in a few years. Conrad and Daw devote a large chunk of the book to getting in the pot business or, more accurately, what people need to be thinking about if they're thinking about getting into the pot business. They accurately lay out the obstacles -- legal, political, financial -- awaiting anyone hoping to navigate the nascent industry, and they explore the manifold opportunities within the industry. As they make clear, there's more to the pot business than growing and selling weed (although they certainly devote ample material to covering those basics) and there are employment and business opportunities far beyond growing, trimming, or budtending. Marijuana is spinning off all sorts of ancillary businesses, from edibles and cannabis oil manufacture to advertising and public relations to paraphernalia production to business services and beyond. The Newbie's Guide is a most excellent handbook for marijuana consumers and potential consumers. It should also be required reading for anyone who is thinking about making a career in the industry. There is money to be lost as well as money to be made, and Conrad and Daw could well help stop you from throwing good money down a rat hole. Perhaps as important, they demand that people wanting to get into the business do a thorough self-examination. Just why, exactly, do you want in? What is it you seek? Honest answers to those questions will help people make the right choices for themselves. If you're seriously thinking about using marijuana or getting into the business, you should read this book. Arizona legalizers are closing in on their needed signatures, California Teamsters kick in some bucks to oppose legalization, the Patagonia clothing company gets behind industrial hemp, and more. Arizona Legalizers Have 215,000 Signatures, They Need 150,000 Valid Ones. With two weeks until their July 7 signature gathering deadline, the Campaign to Regulate Marijuana Like Alcohol says it has gathered 215,000 signatures, just short of its goal of 230,000. If the campaign obtains all 230,000 and has a 25% invalidation rate or less, it qualifies. If it has a 30% invalidation rate, it falls just short. Stay tuned. California Teamsters Kick In Cash to Anti-Legalization Campaign. Joining police and prison guards in opposing the Adult Use of Marijuana Act (AUMA) legalization initiative are the California Teamsters. The truck drivers' union has donated $25,000 to the anti-legalization Coalition for Responsible Drug Policies. The Teamsters' concerns appear to be less with legalization itself than with the initiative's vision of legal marijuana distribution. The Teamsters want distribution to follow the alcohol distribution model, which would benefit its membership. 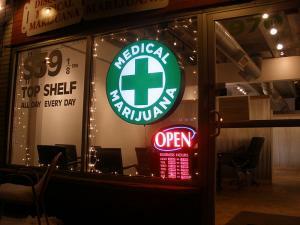 Ohio Medical Marijuana Bill Amended to Remove Pharmacist Requirement. The Senate has changed House Bill 523 to remove language added by a committee that required dispensaries to be run by a licensed pharmacist. The Senate also expanded the definition of pain to qualify for medical marijuana. Patient advocates cheered both moves. The bill is expected to head for a full floor vote as early as today. Patagonia Clothing Company Gets Behind Hemp. The outdoor clothing retailer is getting behind the push to legalize industrial hemp. The California-based company has created a documentary about Kentucky farmer Michael Lewis, who was the first to grow industrial hemp in the US since World War II. The documentary is called "Harvesting Liberty." Former French Anti-Drug Boss Investigated for Drug Smuggling. Francois Thierry, the former head of the anti-drug agency, Octris, is being investigated over allegations that he imported drugs to supply one of his informers and the he ordered the smuggling of several tons of hashish from Morocco. One informant told the newspaper Liberation that French police officers delivered 19 tons of hash to a Spanish villa he occupied on behalf of Thierry. The drugs were supposed to be bait to catch traffickers, but only some were seized while the rest went to a convicted drug dealer who was an informer for Thierry. This allowed Thierry to trumpet drug busts to the press, but also eliminated the informant's competition and allowed him to corner the market in hash. Lots of Maine news today, Alaska could see "pot cafes," a New Hampshire asset forfeiture bill gets gutted under police pressure, and more. Alaska Marijuana Draft Regulations Include Pot Cafes. Alaska could become the first legalization state to actually allow social marijuana smoking in designated businesses. The state's Marijuana Control Board has crafted draft regs that would allow users to toke up inside retail stores. The draft regs are now awaiting public comment. While "public" marijuana use is banned, the regs create an exemption for retail stores to seek an "onsite consumption endorsement" to their licenses. Stores with that endorsement could then set aside an area for people to consume marijuana. California GOP Opposes AUMA Legalization Initiative. The state Republican Party voted at its convention over the weekend to oppose the Adult Use of Marijuana Act (AUMA) marijuana legalization initiative. "We must not turn this plague loose on our children and the people of California," said Sen. Jim Nielsen (R-Gerber, who also called marijuana an "entry-level" drug that leads to addiction. California Democrats have endorsed the initiative. It's Official: Maine Will Vote on Legalization in November The final obstacle to a popular vote was removed last Friday, when state legislators punted on their chance to act on the citizen legalization initiative, opting instead to send the question to the voters instead. Earlier, the Campaign to Regulate Marijuana Like Alcohol, which organized the state's legalization initiative had to go to the courts to force recalcitrant state officials to properly count all the signatures, and they did so. Vermont House Takes Up Marijuana Legalization Today. The House is considering legalization today, albeit in a roundabout fashion. One House committee rejected the legalization measure, Senate Bill 241, while another amended it to legalize possession and personal cultivation, but not regulated, legal marijuana commerce. The Senate responded by pasting SB 241 into another bill, House Bill 858, which the House is considering today. Stay tuned! Alabama Passes CBD Medical Marijuana Bill. Both houses of the legislature have now approved "Leni's Law," which would allow people with seizure disorders or other debilitating medical conditions to use CBD cannabis oil to treat their ailments. Gov. Robert Bentley (R) is expected to sign the bill into law. Connecticut Medical Marijuana Expansion Bill Passes Legislature. A bill that would allow children with certain debilitating medical conditions to use medical marijuana has passed out of the legislature after a final Senate vote last Friday. Gov. Dannel Malloy (D) is expected to sign House Bill 5450 into law. New Hampshire's First Dispensary Opens. The Sanctuary Alternative Treatment Center opened in Plymouth last Saturday. It's the first dispensary in the state to open for business. It only took nearly three years after the state's medical marijuana law was approved for this to happen. New Hampshire Asset Forfeiture Bill Scaled Back Under Police Pressure. The state Senate last Thursday stripped a provision from an asset forfeiture reform bill that would have directed funds seized by police to the state's general fund rather than to the agency that seized them. 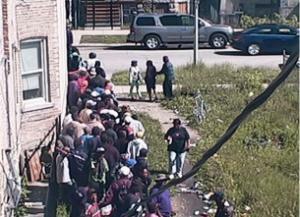 The move came after police chiefs said not letting them keep the goodies would "handcuff" them. Oklahoma Governor Signs Asset Forfeiture Reform Bill. Gov. Mary Fallin (R) last Thursday signed into law a bill that will allow people whose property is subject to asset forfeiture to recover attorney fees when they challenge the seizures. The new law goes into effect November 1. Maine Decriminalizes Drug Possession, Moves to Adopt Pre-Arrest Diversion Program. Last Thursday, a bill that would make simple drug possession a misdemeanor instead of a felony passed into law without the signature of Tea Party Gov. Paul LePage. The bill, LD 1554, decriminalizes the possession of up to 200 milligrams of heroin. Earlier this month, the legislature also approved a bill that would fund Law Enforcement Assisted Diversion (LEAD) programs, which have proven successful in Seattle and other cities. Maine Legislature Overrides Governor's Veto of Overdose Reversal Drug Bill. The legislature voted last Friday to override gubernatorial vetoes of LD 1457 and LD 1552, which would allow access to naloxone without a prescription and provide public funding for needle exchange, respectively. Gov. Paul Le Page had claimed "naloxone does not save lives, it merely extends them until the next overdose" and complained that the $70 cost would not be repaid. Canada Supreme Court Throws Out Mandatory Minimums for Drug Traffickers. In a decision last Friday, the high court ruled mandatory minimums for repeat drug offenders are unconstitutional. The case is R. v. Lloyd. DC marijuana activists scored a White House meeting, Montana medical marijuana patients catch a temporary break, hemp states could be protected from federal interference, Canada just says no to decrim ahead of pot legalization next year, and more. White House Staffers Meet With DC Marijuana Activists. Adam Eidinger and Nikolas Schiller of the DC Cannabis Campaign met with White House staffers Monday and urged them to commit the administration to a marijuana policy summit at the White House. They didn't get any answers from the staffers, but Eidinger said they did get "a lot of nods, a lot of smiles." Nebraska and Oklahoma Try Again to Derail Colorado's Pot Legalization. After being turned away by the US Supreme Court in their bid to overturn marijuana legalization in Colorado, the two neighboring states have asked to be added to another case at the US 10th Circuit Court of Appeals in Denver brought by opponents of legalization. The case consolidates two separate lawsuits brought by a group of county sheriffs and the owners of a rural property, and now, Nebraska and Oklahoma hope it will include them, too. Iowa CBD Medical Marijuana Expansion Bill Killed. A Republican-backed bill to expand the number of ailments for which Iowans could use CBD cannabis oil was defeated in the House Monday. Democrats said the proposal did not go far enough, while some Republicans objected to any effort to legalize marijuana, medicinal or otherwise. The bill was defeated 61-36. Montana Supreme Court Delays Enforcement of Medical Marijuana Rollback. The state high court said it will delay enforcement of its February ruling dramatically rolling back the state's medical marijuana program. The court said its ruling would now not go into effect until August 31. Montana activists and medical marijuana industry spokesman have said the rollback would force the closure of dispensaries and leave patients in the lurch. Supporters are also working on an initiative campaign to put a revamped medical marijuana system before the voters in November. Senate Committee Approves Amendment to Block Federal Interference With Hemp. Sens. Jeff Merkley (D-OR) and Ron Wyden (D-OR) offered an amendment to the Senate Commerce, Justice, and Science appropriations bill that would prevent the federal government from interfering with implementation of state hemp laws, and the Appropriations Committee passed it last Friday. More than half the states have laws allowing farmers to cultivate hemp, but they faced the prospect of the DEA taking action against them. That will end if the amendment survives the rest of the appropriations process. Connecticut House Passes Comprehensive Opioid Bill. The House Monday unanimously approved House Bill 5053, which would widen access to the overdose reversal drug naloxone, put a seven-day cap on first-time opioid prescriptions, strengthen the prescription monitoring program, provide a release from liability for Good Samaritans who administer naloxone, and add staffing for emergency medical care and the Alcohol and Drug Policy Council. The bill now goes to the Senate. 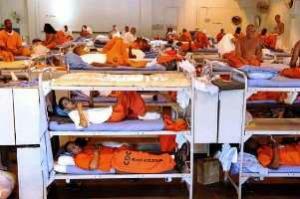 California Bill to Reduce Drug Sentences Fails. A bill to repeal sentencing enhancements for certain drug offenses died in the Senate Monday after some senators warned that it would favor drug dealers. The measure, Senate Bill 966, filed by Sen. Holly Mitchell (D-Los Angeles), would have repealed a law that adds three years in prison for people convicted of drug distribution offenses if they have previously been convicted on similar charges. All Republican members voted against it, as did three Democrats, while five more Democrats abstained. The bill lost 18-16. 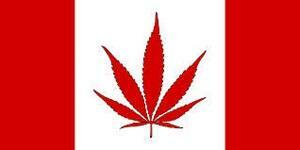 Canada Will Not Decriminalize Marijuana Possession Ahead of Legalization. The Liberal government has made it clear that it will not move to end marijuana possession arrests ahead of its push to legalize marijuana, which it said it will undertake next year. "The current provisions of the CDSA [Controlled Drugs and Substances Act] regarding marijuana will remain in place until they are replaced by new legislation that will legalize and strictly regulate marijuana, Ian McLeod, a spokesperson for the Ministry of Justice, said. "Marijuana will not be decriminalized prior to legalization." Rhode Island voters may get a say on pot legalization, no medical marijuana deliveries for Los Angeles, the Pennsylvania medical marijuana bill is finally moving, Colombia's high criminal court expands the parameters of decriminalization, and more. Rhode Island Governor Open to Legalization Referendum. Gov. Gina Raimundo (D) said today that she is open to the idea of a statewide referendum on marijuana legalization proposed by House Speaker Nicholas Mattiello (D). The referendum would be non-binding. There is "some talk at the General Assembly of maybe putting it on the ballot to ask the voters their opinion of should we do this? And I would be open to that, because I think it's a big issue and it would be good know where the voters stand," Raimundo said. The talk comes as the legislature considers pending legalization proposals. California Appeals Court Upholds Ban on LA Pot Deliveries. A three-judge appellate court panel Monday upheld a lower court's decision to temporarily ban Nestdrop, an app that allowed people in the city to have marijuana delivered to their door. But the decision will have an impact beyond Nestdrop; the justices held that under the city's zoning law, Proposition D, all delivery services are barred from operating in the city. Pennsylvania Medical Marijuana Bill Moves After Long Delay. The House Monday night passed an amended version of Sen. Mike Folmer's Senate Bill 3. The vote comes 10 months after the bill passed the Senate. The bill still faces a final House vote and then must return to the Senate for its approval of the amended version. Washington Governor Vetoes Hemp Bill for No Good Reason. Gov. Jay Inslee (D) has vetoed Senate Bill 6206, which would have legalized industrial hemp production in the state. Inslee's reason nothing to do with the substance of the bill; he is irritated with the legislature for failing to pass a budget bill. Inslee said the hemp measure was "a worthy bill," but he couldn't sign it until "a budget agreement is reached." The bill passed the House unanimously and the Senate 48-1, so a veto override is possible. Colombian Supreme Court of Justice Rules "Addicts" Can Carry More Than "Minimum Dose" of Drugs. The high criminal court ruled that "addicts" can carry more than the legal "minimum dose" of drugs out of "necessity" without being charged with a crime. The ruling came in the case of soldier caught with 50 grams of marijuana, 2 ½ times the decriminalized amount of 20 grams. Instead of the "minimum dose," the courts will have to contend with the "supply dose," enough of the drug to meet to the user's needs. Prior to this ruling, people caught in excess of the "minimum dose" faced charges of drug possession with intent to traffic. They can still be charged that way, but now have an additional defense. Bloody Gunfights in Mexico's Reynosa. Prohibition-related violence flared in the Mexican border town of Reynosa, just across the Rio Grande from McAllen, Texas, Sunday, when at least nine suspected cartel gunmen died in battles with government forces. At least three separate armed clashes took place, with gunmen also setting vehicles afire and blocking roads. The operation was aimed at taking down Gulf Cartel leaders in the city, but it wasn't clear if the police and military found their targets. A new report finds marijuana is a booming market, California doctors get on board with the AUMA legalization initiative, the White House wants nearly a billion bucks to fight opioid addiction -- with most of it going for "medication-assisted treatment" -- and more. Legal Pot Sales Hit $5.4 Billion Last Year, Report Says. Legal marijuana sales increased 17.4% last year to $5.4 billion, according to data released this week by the ArcView Group. Nearly 80% of the sales were for medical marijuana, but $998 million was for legal adult use, up dramatically from $351 billion in 2014. Overall sales should grow to $6.7 billion this year, the group predicted. California Medical Association Endorses AUMA Legalization Initiative. The CMA, the largest doctors' group in the state, announced Monday that is will support the Adult Use of Marijuana Act legalization initiative. The initiative, funded by tech billionaire Sean Parker and supported by Lt. Gov. Gavin Newsom (D), has as one of its proponents Dr. Donald Lyman, who authored the CMA's 2011 policy called for decriminalization. "The California Medical Association believes the Adult Use of Marijuana Act is a comprehensive and thoughtfully constructed measure that will allow state officials to better protect public health by clarifying the role of physicians, controlling and regulating marijuana use by responsible adults and keeping it out of the hands of children," Dr. Steven Larson, CMA's president, said in prepared remarks. New Hampshire Patient Who Sued Over Medical Marijuana Access Dies. Linda Horan, who sued the state in November to issue her a medical marijuana card so she could get her medicine in Maine because New Hampshire dispensaries hadn't opened, died Monday at age 64. The ailing labor leader won her lawsuit and was able to procure medical marijuana out of state, but succumbed to cancer. The court ruling applied only to Horan, but days after the ruling, the states began sending out ID cards to patients. Wyoming Medical Marijuana Initiative Won't Qualify for Ballot. A spokesman for Wyoming NORML, which organized the campaign, said Monday that the group had only managed to gather some 7,000 raw signatures ahead of next week's deadline and will fall far short of the more than 25,000 valid voter signatures required to make the ballot. The group will try again in 2018, it said. Twenty States Have Hemp Bills This Year, Vote Hemp Says. The industry group has issued its annual report and says 20 states are working to legalize or expand hemp production. There's much more in the report, too. White House Seeks $1 Billion to Fight Heroin and Prescription Opiate Abuse. The Obama administration Tuesday proposed a billion dollars in new funds over the next two years to combat widespread opioid use. More than $900 million of the newly sought funding would go for medication-assisted treatment (opioid maintenance), which also includes therapy. The administration said that 2.2 million people have been identified as needing treatment for opioid addiction, but only one million are receiving it. West Virginia Lawmaker Proposes Drug Testing Legislators. State lawmakers have once again introduced a bill to drug test welfare applicants, and in response, Delegate Shawn Fluharty (D-Wheeling) has introduced House Bill 2925, which would subject legislators to the same sort of testing. "There's no reason why state legislators should get a pass, simply because we wear suits," he said. The state legislative season is now underway and marijuana-related bills are popping up in various states, Michigan ponders roadside drug testing bills, Canada's Tories bow before the inevitability of marijuana legalization, and more. Kansas Legislators Hold Hearing on Decrim, Hemp, and Medical Marijuana Bill. The Senate Corrections and Juvenile Justice Committee met Wednesday to hear testimony on House Bill 249, which would reduce penalties for pot possession, allow the limited use of medical marijuana, and allow for a pilot project on hemp production. The measure has already passed the House. Maryland Legislature Overrides Veto of Pot Paraphernalia Decrim. Both the House and the Senate voted today to override Gov. Larry Hogan's (R) veto of Senate Bill 517, which fixed an oversight in the state's decriminalization law. The bill removes criminal penalties for the possession of pot paraphernalia, which the original decrim bill failed to do. Marijuana Policy Project Eyes Ohio Medical Marijuana Initiative. MPP said Wednesday it plans to put a medical marijuana initiative on the 2016 ballot. The initiative would take the form of a constitutional amendment, but has not yet been drafted. Utah "Whole Plant" Medical Marijuana Bill Filed. Sen. Mark Madsen (R-Saratoga Springs) has introduced Senate Bill 73, which would create a full-fledged medical marijuana system in the state. The bill would only allow marijuana to be consumed in the forms of oils and gummies, not smoked. Another bill already filed would allow only cannabidiol. Missouri Hemp Bill Hearing Turns Into Debate About Possibility It Could Lead to Pot Legalization. It was supposed to be a debate about establishing a pilot program for industrial hemp production, but the discussion of Senate Bill 584 quickly devolved as representatives of law enforcement said that while they didn't oppose the bill, they feared it be the camel's nose under the tent for pot legalization. "It is no secret that many would look at a bill such as this as the first step to legalizing marijuana," said St. Charles County Prosecuting Attorney Tim Lohmar. No vote was taken on the bill. Similar legislation passed the House last year, but never got a Senate vote. Indiana Unemployment Drug Testing Bill Hits Snag. The Senate Pensions and Labor Committee heard an unemployment drug testing bill, Senate Bill 245, but took no vote on it after the committee chairman said it "needs some more work." The bill sponsor, Sen. Jon Ford (R-Terre Haute) was unable to say how many people would be drug tested or produce any supporting data for the bill other than to say that employers in his district tell him they can't get people to take drug tests. Michigan Bills Would Allow Roadside Drug Testing. A pair of bills, Senate Bill 207 and Senate Bill 434 would create a pilot program for roadside drug testing. The latter would authorize State Police to create a pilot program, while the former would authorize officer who are certified drug recognition experts to require drivers to submit to drug tests. Scientists Call for New Approach to Evaluating Illicit Drug Policy. In an open letter released by the International Centre for Science in Drug Policy (ICSDP), scientific experts from around the globe called on governments to align illegal drug policies with community concerns -- not on reducing the availability of illicit drugs. The move comes as part of the run-up to the UN General Assembly Special Session on Drugs, set for April. Canada's Tories See the Writing on the Wall for Marijuana Legalization. Liberal Prime Minister Justin Trudeau has vowed to legalize marijuana, and Canada's Conservative Party seems to realize it can do nothing to stop it. "The new government will legalize marijuana," Rona Ambrose, interim leader of the Conservative Party of Canada, said in a radio interview on Wednesday. "We know that." Georgia faces a pile of marijuana bills, Boston cops go after one of the state's leading legalization activists, Vermont legalization hearings get underway, and more. Georgia Legislature Faces Stack of Marijuana Bills. Solons in Atlanta face no fewer than seven pieces of marijuana-related legislation as they return to work this month: House Bill 722 -- Medical Cannabis Expansion, Senate Bill 254 -- No felonies for possession of marijuana, House Bill 704 -- Industrial Hemp; House Bill 283 -- Marijuana arrests and drivers licenses, Senate Resolution 6 -- Ballot initiative for the legalization of marijuana, Senate Bill 7 -- Medical cannabis bill, and Senate Bill 198 -- Marijuana Regulations. Boston Police Seek to Bust Activist Bill Downing Over Marijuana Sales. Boston Police have filed a criminal complaint against Downing, one of the state's most well-known marijuana legalization activists, charging him with multiple counts of marijuana distribution. A magistrate judge will decide today whether to approve the charges. Downing's attorney said the complaint is nothing but an effort to "silence the most vocal supporters of the legalization of marijuana." Vermont Legislative Committee Holds Marijuana Legalization Hearings. The Senate Judiciary Committee heard testimony on marijuana legalization Monday at three venues across the state. Click on the link to get the flavor of the testimonies. South Dakota Welfare Drug Testing Bill Coming. Rep. Lynne DiSanto (R-Rapid City) and Sen. Betty Olson (R-Prairie City) are working on a welfare drug testing bill that would require mandatory drug testing for people applying for welfare and other cash assistance programs. Federal courts have held mandatory, suspicionless drug testing to be a search under the Fourth Amendment, so this bill could have problems if it gets passed. The bill is not yet on the legislative web site. 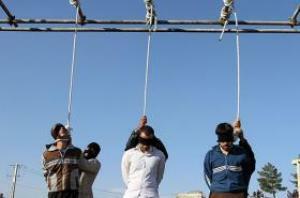 Iran Hangs Four for Drugs. Four men convicted of drug offenses were hanged at Karaj's central prison last week. They were identified as Seyed Hamid Hajian, Hossein Toutiannoush, Mostafa Jamshidi, and Mohsen Nasiri. Iran hanged hundreds of people for drug offenses last year, and this year looks like more of the same. Or does it? Last month 70 members of the parliament introduced legislation to end the practice. The omnibus budget bill approved by Congress today includes several drug policy provisions, the president commutes the sentences of 93 drug war prisoners, Iranian parliamentarians move to end the death penalty for non-violent drug smuggling offenses, and more. US Postal Service Doubles Down on Marijuana Advertising Mailing Ban. What started as a one-off letter to a small Washington state newspaper has now become official USPS policy nationwide. The agency's general counsel has penned a new letter directing postal carriers across the country to report marijuana ads to law enforcement, and now, Oregon federal representatives are trying to get to the bottom of it. "We are working as a delegation to quickly find the best option to address this agency's intransigence," said Sens. Ron Wyden and Jeff Merkley and Reps. Suzanne Bonamici and Earl Blumenauer in a statement. "We want federal authorities to respect decisions made by law-abiding Oregonians and small business owners in the state. Unfortunately, the outdated federal approach to marijuana as described in the response from the Postal Service undermines and threatens news publications that choose to accept advertising from legal marijuana business in Oregon and other states where voters have also freely decided to legalize marijuana." 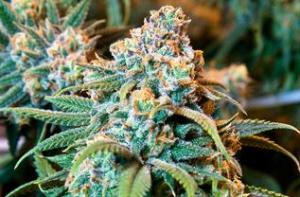 Oregon Indian Tribe Votes to Approve Marijuana. Members of the Confederated Tribes of Warm Springs overwhelmingly approved a referendum that would allow for the growing, processing, and selling of marijuana. The referendum passed with 86% of the vote. Florida Supreme Court Okays Medical Marijuana Initiative Language. The state's high court determined that the initiative is limited to a single subject and its ballot wording informs voters fairly. That means if supporters collect enough valid voter signatures, the measure will appear on the November 2016 ballot. Congress Passes Budget Bill That Bars DOJ From Interfering in Medical Marijuana States. The omnibus spending bill approved by Congress this morning includes several drug reform provisions, although reformers didn't get everything they wanted. The bill includes language blocking the Justice Department and DEA from spending money to interfere with state medical marijuana laws or hemp research projects and it also lifts a freeze on federal funding for needle exchange programs. But Congress failed to approve amendments to allow banks to provide financial services to marijuana businesses or to allow veterans to have access to medical marijuana, despite the Senate having approved both. And the Congress again included provisions that block Washington, DC, from taxing and regulating marijuana. Key Hemp Provision Added to the Omnibus Appropriations Act of 2016. The budget bill that passed Congress today protects the transportation, processing, and sale of hemp that is from Farm Bill-compliant pilot programs. The provision was added to the bill by Senate Majority Leader Mitch McConnell (R-KY). 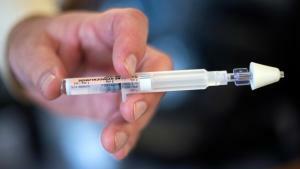 Congress Passes Budget Bill That Includes End to Ban on Federal Needle Exchange Funds. The omnibus spending bill approved by Congress this morning lifts a freeze on federal funding for needle exchange programs. The ban had been put in place in the midst of drug war and AIDS hysteria in 1988 and was repealed in 2009, when Democrats controlled both chambers, but reinstated by congressional Republicans after they regained control of the House in 2011.Since then, outbreaks of HIV and Hepatitis C in southwestern Indiana and the impact of rising heroin use in states like Kentucky and West Virginia have weakened Republican opposition to restoring the funding. Obama Commutes Sentences for Nearly a Hundred Federal Drug Prisoners. President Obama today commuted the federal prison sentences of 95 men and women, all but two of them drug offenders serving draconian sentences. He also issued pardons for two people who have already served their sentences. This single step nearly doubles the number of sentence commutations the president has issued in his seven years in office, bringing the total to 184. While that is a tiny fraction of the hundred thousand drug offenders serving federal time, the number of commutations is more than the previous five presidents combined. Move to End Death Penalty for Drug Smuggling in Iran. At least 70 members of the Iranian parliament are supporting an effort to end the death penalty in nonviolent drug smuggling cases. The country is most likely the world's leading drugs executioner, with one UN official estimating that it will hang a thousand people for drug crimes this year. Lawmakers are preparing a bill to present to the parliament.